Well, Dr. Sandeep Cheema Sohi is the best paradigm of this quote. Her dream of becoming an infertility specialist brings joy to many lives. Dr. Cheema is adding colours in the life of infertile patients from last 7 years. 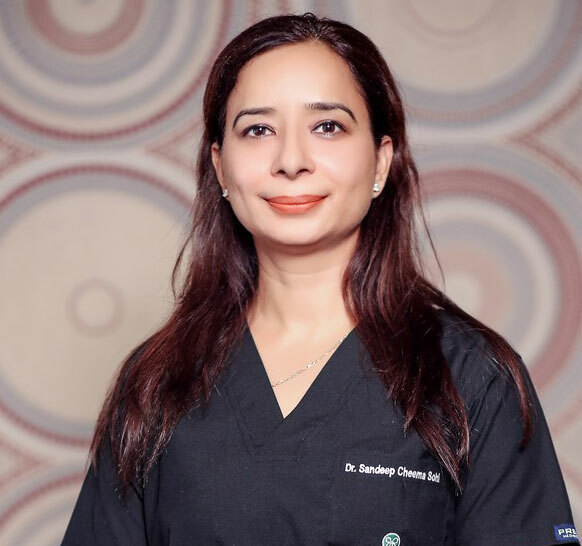 She is one of the best infertility doctors in Chandigarh. Reviva Infertility Clinic was started in 2010 under the direction of Dr. Sandeep Cheema Sohi. Reviva Infertility Clinic is unique as this is the only center that caters solely to infertility issues and is not diluted by Gynae & Obs practice. With the consistent growth & success leads us to open another sister unit in Patiala in a very short span of time. Both the branches have complete IVF lab setup with high-end technology. We have our in-house team of well qualified & experienced doctors, Embryologists, Andrologists, Anaesthetists & IVF staff etc. Till date, more than 2,200 ART babies have been delivered successfully through us. Every year, we undertake more than 300 fertility treatment cycles with a good success rate. Every treatment related to male & female infertility is done under one roof. The patient in our clinic is counseled in such a way so that patient can feel more comfortable all the way during the treatment cycle. The whole process needs patience which ultimately leads to fruitful results. Reviva specializes in various treatments like IVF, IUI, ICSI, TESA-PESA, Blastocyst Transfer, Surrogacy, Assisted Zonal Hatching, and Oocyte Donation. The treatment we offer is cost effective and result oriented. Our goal at Reviva is to strive for excellence in ART. Our vision is to strive for excellence in Assisted Reproductive Technologies by giving extraordinary results to the infertility patients. Our mission at Reviva Infertility and IVF clinic is to help infertile patients to become parents by providing them the exact fertility treatment program with highest success rates. And we also focus on individualized care and attention.